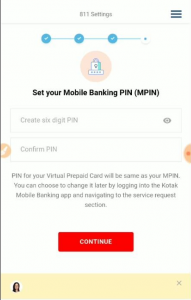 1.1 How to Open Kotak 811 Account and Get Rs.1100 Cashback? 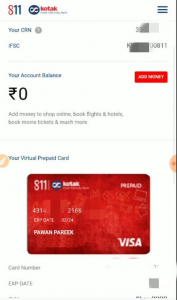 1.1.2 How to Get Rs.1100 Cashback with New Kotak 811 Account? 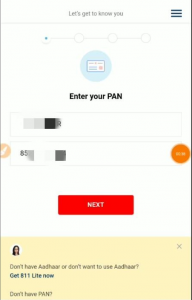 Kotak 811 Account, Kotak 811 offers Kotak 811 free cash, Open Kotak 811 account – Hello Guys, As You all Know We give Regular Best Online Offers and Deals for You. Like You, All Got Amazon Free Voucher from Kotak 811 Account. Similarly, we will show you a trick to get Rs.1100 Cashback Easily. These are lots of Services provided by kotak which you can use with Kotak 811 Account. You have a lot of Benefits with Kotak 811 Like Zero Balance Online Saving Account, Up to 6% Interest Rate, Free Virtual Card, Zero Maintenance Charges and a lot more. There ate lots of offers going on Paytm, Phonepe, Google pay, Freecharge and many more. After successfully open account you will take all the benefits of this offers. You can get Free almost Rs.1100 Cashback on Opening of Kotak 811 Account Also. See Full Details below. • Transfer money instantly using BHIM UPI without the need for any bank information. • Transfer funds easily on the go without registering a beneficiary. • Book train tickets using IRCTC, shop on Flipkart, goibibo and more in KayMall. • Recharge your mobile & DTH subscriptions with ease. • Purchase and redeem Mutual Funds and keep track of your investments. • Apply for a Kotak Credit Card. • Regenerate your Debit and Credit card PINs. • In case of loss, temporarily switch off your Kotak Debit Card for security purpose. • Pay Credit Card bill online. • Check your Bank Account statement. 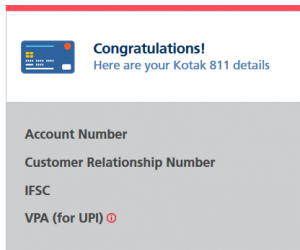 How to Open Kotak 811 Account and Get Rs.1100 Cashback? 2. You need to fill Details Like Name, Mobile Number & Email. 3. 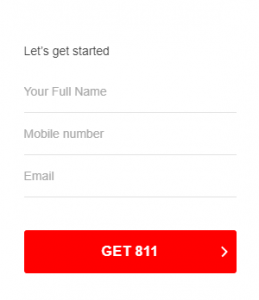 After The entering details You need to Click on “Get 811″ Button. 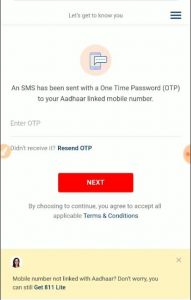 4. you will receive OTP on register mobile number after that Verify with Your number via OTP. 5. Now, You will get Question like Would You Like To Direct Benefit Transfer, Click on YES. 6. 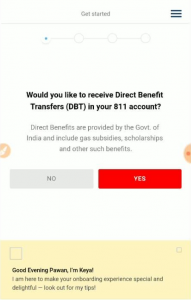 After that you will redirect to Get DBT benefits with 811 screen. 8. Now Click on “Continue” button. 9. Now, You have to Fill Your Aadhar Details and PAN Number. 10. Now click on next and Agree terms & conditions and click continue. 11. You will redirect to page where all user details are pre filled in form. Note: User details will be same as Aadhar card details. 12. 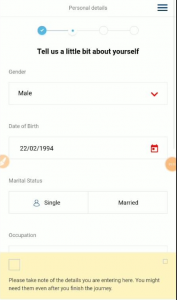 You need to fill other details like salary, Fill Occupation Details, Marital Status, Father’s name Mother’s name. 13. Scroll down and you will see next button. 14. After that you need to add nominee details and click on next button. 15. 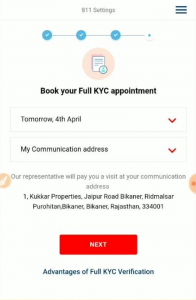 User need to take appointment to for full KYC verification. 16. Then, You have to Set Up PIN. Select M Pin. 17. Now, Enter Login and Password of your choice for Kotak 811 App. 18. Verify with OTP and All Things are Done. Your Kotak 811 Account is Opened. 19. Record Your All Details like Account Number, IFSC Code, VPA, and Other Details. 20. Now, Download Kotak 811 app and Login with Your Details. 21. Your Account is Successfully Opened. Now, we will see how to get Free Rs.1100 Cashback. 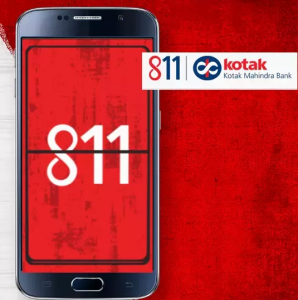 How to Get Rs.1100 Cashback with New Kotak 811 Account? You can get Cashback By PayTM, PhonePe, Google Pay, Shareit, True Caller, PayPal, and Freecharge. You have to Just Link your Kotak 811 Account to All These Apps for the First time and Do a Transaction for Free Cashback. Just Link Your Kotak 811 Account with PayTM. You have to do Two Transactions (Money Transfer) from PayTM UPI and You will Get Rs.75 Cashback in Wallet. You have to Just Link Kotak 811 App and Do the First Transaction to get Free Rs.50. Similarly like Truecaller, Shareit is Giving Free Rs.25 on 1st Transaction. You have New Account So, You Transaction in All These Apps will be the First Time. 4. Freecharge – Free Rs.50 on First Transaction (Money Transfer) After Linking Account. You can Refer yourself and Get Free Rs.75 + Rs.75. Also Free Scratch Cards on Doing Transactions. Similarly like PhonePe, You can get Rs.51 + Rs.51 (By Refer & Earn). You have to Just Do Transaction of Rs.1000 with Paypal on Niki and You will get Rs.500 Back. Just Link Your Kotak 811 Account with PayPal. 8. Kotak 811 Offer – Free Rs.200 Amazon Voucher. You have to Just Add Rs.3000 In Kotak 811 Account and you will get Free Rs.200 Amazon Voucher. Final Words: You can get Cashback up to Rs.1100 By Just Opening Kotak 811 New Account. These Offers can be Change Anytime So, Do Transactions After Recheck. For Similar Offers, Join Our Telegram Channel. If You have Queries You can share it in a Comment Section.